POWER9 is here, and with it comes loads of new hardware. With the second batch of released hardware there are several new systems that are focused on small and mid-range applications. These include Power9 models S922, S914, and S924 as well as Linux and SAP Hana specialized variants, the L922, L924, H922, and H924. The new systems are utilizing POWER9 processors, a new memory standard, and POWERVM standard on all units. Once again, with a new systems series comes new Power benchmarks as well. Increased CPW speeds and I/O bandwidth, increased memory capacity. With the entry and mid-range systems released so far the increases can be as high as 70% over previous comparable hardware options. The most noticeable change from the move to POWER9 is the transition away from the larger, and more expensive, buffered memory to industry standard DDR4 DIMMs. Due to the increasing costs of memory, this has been seen as a welcome change by many, as industry standard memory is substantially cheaper (20-40% in most cases). Although the memory change is important, the biggest change is the name sake of the product line; the POWER9 Processor. The new processor comes with some new features such as dynamic performance mode being enabled by default, a 90%+ increase in fabric bandwidth, CAPI 2.0 & PCIe Gen4 compatibility, and offers up to 24 cores per socket. With the new modular architecture of the main processor, support for the newest I/O connections, and a more efficient instruction pipeline that removed 5 steps from the calculation process, the POWER9 processor has substantially increased performance over previous, POWER8 CPUs. Dynamic performance mode allows the new POWER9 processors to be set to allow the processor frequency to be adjusted in real time based on current CPU utilization and other environmental conditions. This feature is enabled by default on new POWER9 systems in order to help promote energy savings by lowering the power draw of the processors when maximum frequency is not needed and by reducing cooling costs. The maximum number of cores possible with POWER9 has doubled to 24 per socket and the fabric bandwidth has also nearly doubled from 38.4GB/s to 74GB/s. This upgraded speed isn't wasted either, as POWER9 also comes with PCIe GEN4 that supports up to 80GB/s which gives CAPI 2.0 connections up to 4 times the previous maximum bandwidth available on POWER8. As far as pricing and maintenance costs go, there is nothing but good news. The pricing structure for POWER9 systems is based on the same structure as POWER8; which means a new POWER9 system will have a very similar upfront cost to a similar POWER8 configuration from years past. As for maintenance, since IBM bases its annual maintenance renewal fees off a tiered system (You can see the tier chart for POWER9 systems here), as long as the new POWER9 system is in the same tier as older POWER8 Systems the costs will be the same. 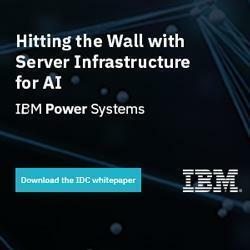 This means that for the same yearly costs, a POWER9 system will offer better performance, lower energy costs with dynamic performance mode, and the benefit of the longer lifespan of more up to date hardware. POWER9 systems only support the last 2 releases of the IBMi Operating System, those being version 7.2 and version 7.3. While POWER8 and older servers support earlier releases and can be upgraded to 7.2 or 7.3 when making the migration to a POWER9 server, consideration must be made about the ERP software intending to be run on the server. With all of the myriad of software available for IBMi it is essential to check if the software intending to be run on the POWER9 system is capable of running on the newest releases of the IBMi operating system. "The maximum number of cores has doubled to 24 per socket " this ia not very true. You can get max 12 cores per socket in Scale Out machines. Two chip deliver 24 cores together. HPC boxes comes with 'small core chips' which can delivet more cores per chip, but this article does not speek about HPC servers. No, there is a 22 core chip available, at least in the 922. I'm kind of new to the IBMi ecosystem, what did you mean with this sentence? "The introduction of the 8GB feature allows a user to get the most memory bandwidth out of their machine for a lower price." I'm kind of new to the IBMi ecosystem, what did you mean with this sentence? "The introduction of the 8GB feature allows a user to get the most memory bandwidth out of their machine for a lower price." The introduction of the 8 GB feature is significant for the price conscious businesses, because the 4-core 9009-41A has a maximum allowed memory of 64GB. The 8GB feature allows the 4-core to be able to use all 8 DIMM slots, instead of being restricted to a maximum of 4 when the smallest feature was 16GB prior to July. The cost of the memory features scale with the size of the DIMM: 9009-EM60 409.00 8 GB DDR4 Memory 9009-EM62 619.00 16 GB DDR4 Memory 9009-EM63 1,179.00 32 GB DDR4 Memory 9009-EM64 2,699.00 64 GB DDR4 Memory The introduction of the 8 GB feature is significant for the price conscious businesses, because the 4-core 9009-41A has a maximum allowed memory of 64GB. The 8GB feature allows the 4-core to be able to use all 8 DIMM slots, instead of being restricted to a maximum of 4 when the smallest feature was 16GB prior to July. Great, simple explanations without too much technical jargon.